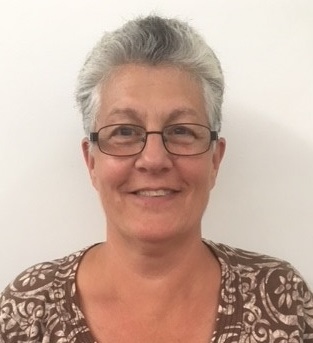 Hi, my name is Colleen Pizzuti and I am an assistant teacher at St. Mary Child Care Center. I have over 35 years of experience in childcare. 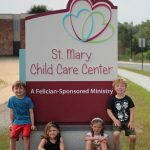 Before joining St. Mary Child Care Center, I was a preschool teacher/home daycare provider responsible for the care of children, ages 6 weeks to 5-years-old. I grew up in Westland, Michigan and am the middle child. I graduated from John Glenn High School in Westland, Michigan in 1979 where I received an honors award in Child Care Development. I am a proud grandma of three grandchildren. I love spending time with the grandkids, I am a Hallmark Movie Channel enthusiast, I have fun watching my niece and nephew’s sports activities, I enjoy pet sitting in my spare time and I like to travel to my sister’s place in Arizona.